For those who follow a low-carb diet, desserts that are both scrumptious and satisfying can be few and far between—with the exception of low carb cheesecake. This sweet treat consists mainly of low-carb foods—cheese, eggs and cream—and is the ultimate in low carb desserts. The following is list of easy low-carb cheesecake recipes that has you covered on the dessert front. 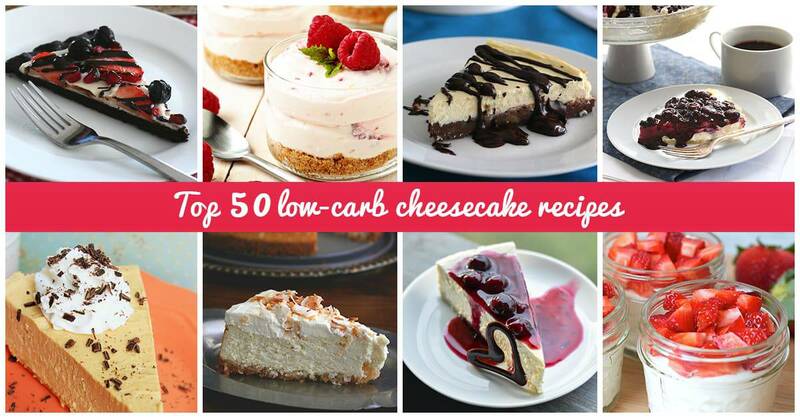 Read on to discover 50 ways in which you can have your low-carb cheesecake—and eat it too. Two classic dessert favorites in one unforgettable dish! It’s hard to think of two treats that would be a better match in dessert heaven than these ones. In this recipe, a moist, rich chocolate brownie provides the base for a wonderfully decadent layer of thick, creamy cheesecake. Drizzle some sugar-free chocolate ganache on top for an even sweeter treat. Ingredients: Butter, unsweetened chocolate, almond flour, cocoa powder, eggs, vanilla, walnuts or pecans. When it comes to preparation, no bake desserts are about as simple as you can get. But make no mistake: just because they’re easy to prepare, doesn’t mean they skimp on taste. Here is an easy no bake cheesecake recipe that is low-maintenance enough to whip up on a weeknight, but still packs a serious punch in the taste department. Ingredients: Pecan pieces, cream cheese, lime, Splenda, vanilla and cream. Related: Benefits to lviing a low-carb diet and keto. Continuing in the trend of easy no bake cheesecake recipes, here’s one for No Bake Raspberry-Lemon Cheesecake. Sweet raspberries and tart lemon perfectly compliment each other and together provide a plummy counterpart to the creamy dairy filling. This no bake cheesecake comes together in just fifteen minutes—which leaves you ample time to enjoy the fruits of your labor. Ingredients: Graham cracker crumbs, sugar, unsalted butter, lemon, cream cheese and vanilla extract. When you first decide to forgo grains, you may feel there are limited crust options for desserts. However, this is not the case with this low carb, no bake, grain free cheesecake recipe. A mixture of nuts such as almonds, pecans and walnuts, cinnamon and a low carb sweetener of your choice stands in for a traditional grain-filled crust. Ingredients: Mixed nuts, granular sweetener or coconut sugar, cinnamon, lemon juice, powdered sweetener, eggs, cream cheese, butter or ghee. Any dessert with the word “bomb” in the title is bound to be amazing. Case in point: this recipe for Strawberry Cheesecake Fat Bombs. When you’re on a a low-carb diet, most of your energy comes from healthy fats. These ingenious and delicious bombs are a fun, sweet and easy way to introduce more healthy fats into your diet. Ingredients: Strawberries, cream cheese, butter or coconut oil, powdered erythritol, and vanilla extract. Where does it say you can’t have cake and pie at the same time? Certainly not in this innovative recipe for No Bake Blueberry Cheesecake Pie. With a crust made from almond flour, butter and Swerve Sweetener and topped with sugar-free blueberry sauce, this dessert is perfect for days when it’s just too hot to switch on the oven. Ingredients: Almond flour, powdered Swerve Sweetener, butter, cream cheese, cream or Greek yogurt and lemon. If fruit in your low carb desserts isn’t your thing, then this recipe for low-carb Caramel Pecan Cheesecake is sure to hit the spot—the sweet spot, that is! This easy cheesecake recipe features a luscious, creamy texture with a healthy dose of pecan-y, caramel goodness. Best of all, this dessert only has 1.7 net carbs per serving. Ingredients: Cream cheese, heavy cream, caramel flavoring, vanilla, sweetener, pecans and butter. You don’t need to turn on the oven to experience the homey warmth of this autumnal-themed dessert. This No Bake Pumpkin Cheesecake is the perfect way to indulge during the fall months. This cheesecake recipe comes together in less than twenty minutes. For maximum flavor and texture, try to prepare it the night before you plan to serve it. Ingredients: Graham cracker crumbs, unsalted butter, reduced-fat cream cheese, sifted sugar, pumpkin puree and pumpkin pie spice. These tasty little treats are made in individual portions and can be enjoyed either cold or straight from the oven. This simple cheesecake recipe only calls for five ingredients: ricotta cheese, egg, flour, honey or maple syrup, and blueberries, of course. The blueberries and natural sweetener provide great flavor while the ricotta provides fat and substance to this healthy dessert. Ingredients: Low fat ricotta, egg, plain flour/gluten free flour, honey/maple syrup and blueberries. These yummy low-carb and gluten free Caramel Cheesecakes are prepared in individual servings using a muffin tin. Instead of a traditional sugar-laden cookie crust, this crumbly crust is made using crushed slivered almonds, almond flour and just a quarter cup of sugar. The inclusion of cinnamon sugar makes this a perfect easy cheesecake recipe for the holiday season. This rich and delicious treat tastes so good it’s hard to believe it’s not a forbidden food. However, this recipe for Chocolate Peanut Butter Cheesecake actually has amazing benefits. It’s very high in protein and healthy enough to eat every day. While not technically cheesecake, that is the only term that seems appropriate to label this sweet and indulgent concoction. Ingredients: Cottage cheese, chocolate protein powder, Natural peanut butter, pure stevia. This low-carb cheesecake recipe is similar to the above listed No-Bake Lime Cheesecake Shooters, although this one is baked and then cut into bars instead of served in individual portions. This dessert provides a tangy zip of lime with the smooth, mellow and sweet taste of the cheesecake to create a scrumptious and satisfying low-carb cheesecake option. Ingredients: Cinnamon, almond flour, sweetener, butter, cream cheese, vanilla extract, eggs and lime juice. Here’s a creamy twist on the classic lemon cheesecake recipe: a low-carb cheesecake presented in the form of the dessert known as mousse. For this simple cheesecake recipe, you essentially make a lemon cheesecake, but instead of baking it with a crust, you mix the ingredients in a mixer to create a unique treat that glides off the spoon. Ingredients: Whipping cream, cream cheese, lemon curd or prepared lemon pie filling, vanilla, powdered sugar and berries. Another classic cheesecake recipe—raspberry cheesecake—gets a low carb update with this delicious, decadent concoction. These Low-Carb Raspberry Cheesecake Bars are great for any time of the day. These bars differ from other dessert bars in that they feature a macaroon crust made from coconut flakes and coconut powder, along with butter, baking powder and a sugar substitute. Ingredients: Butter, granulated sugar substitute, unsweetened coconut, coconut flour, baking powder, cream cheese, egg and vanilla extract. The best of all dessert worlds come together in this winning low carb mash-up of chocolate chip cookies, cheesecake and dessert bars. You can’t go wrong when you sandwich creamy, smooth low carb vanilla cheesecake in between sweet layers of grain-free chocolate chip cookie dough. This sumptuous low carb dessert option is sure to become a fast favorite. Ingredients: Almond flour, shredded coconut, baking powder, butter, coconut sugar, egg, vanilla extract and cream cheese. Looking for a delicious low carb strawberry cheesecake recipe? Try this one for Gluten-Free Strawberry Cheesecake. This fresh and springy confection comes adorably served in mini mason jars. Due to how easily this dessert can be stored, you can keep servings cool in the fridge and pop one out whenever you need a sweet, low carb pick-me-up. Ingredients: Chia seeds, unsweetened nondairy milk, pure maple syrup, vanilla extract, fruits, nuts and fruit. Please note: the ten minutes referred to in the title of this recipe includes both the preparation and the cook-time. This means that anytime you have a few minutes to spare, you can easily whip up an amazing, delicious cheesecake. Plus, baking this cake in a coffee mug helps cut the clean-up time for this recipe way down. Ingredients: Cream cheese, Greek yogurt, granulated sugar, egg and vanilla. If you’re on a low carb diet, you may have kissed the idea of cookie pizza good-bye long ago. But not anymore, with this recipe for low carb Cookie Pizza. The chocolate cookie crust is made using almond flour, cocoa powder and low carb sweeteners, then the pizza is topped with fresh berries and a drizzle of dark chocolate. Ingredients: Almond flour, cocoa powder, sweetener, baking powder, egg, butter and vanilla extract. Turtle cheesecake is another extremely popular cheesecake flavor. This recipe takes this traditional favorite a step further by creating a low carb option with a taste and texture identical to that of the original. The sugar substitute used to make the caramel in this recipe is Swerve, which is as sweet as sugar but has an extremely low glycemic index. Ingredients: Almond flour, coconut flour, baking powder, butter, sweetener, cream cheese, eggs and almond milk. This creamy, strawberry-filled cheesecake is coated with a delicious layer of chocolate ganache made with butter, unsweetened chocolate, Swerve sweetener and vanilla extract. The use of grass-fed gelatin in the filling makes this an easy and healthy no bake dessert. The gelatin also makes it possible to line sliced fresh strawberries along the edge for a pretty garnish. Ingredients: Almond flour, cocoa powder, sweetener, butter, strawberries, whipping cream and vanilla extract. Not only do cheesecake brownies already sound like the epitome of a dense, thick and yummy dessert, but this delicious recipe offers health benefits as well by being low carb and gluten-free. These indulgent brownies, complete with a swirled topping of chocolate and a creamy layer of cheesecake, are even better when allowed to chill in the refrigerator overnight. Ingredients: Butter, sweetener, cocoa powder, vanilla extract, sea salt, eggs, almond flour and coconut flour. Though this recipe is not as low in carbs as some of the others on this list, it is still sugar- and grain-free and contains far fewer carbs than its traditional counterpart. A mixture of ground pepitas, pecans and salt substitutes for the pretzels in this recipe adaptation, while frozen strawberries and strawberry gelatin sit atop the cheesecake filling. Ingredients: Salted pepitas, pecan, kosher salt, Splenda, cream cheese, anilla extract, whipping cream and strawberries. Though the word “truffle” usually denotes a fancy, decadent dessert that is only eaten once in a while, these No-Bake Raspberry Cheesecake Truffles are perfect for popping anytime without doing any damage to your diet. These round little treats feature a soft, smooth raspberry-flavored center with a dreamy chocolate coating, and are the perfect dessert for Valentine’s Day. Ingredients: Cream cheese, powdered Swerve or erythritol, heavy cream, vanilla stevia, raspberry extract, coconut oil and chocolate chips. This creamy confection is the stuff cheesecake dreams are made of. This cake manages to remain light and airy while tasting rich and creamy at the same time. Along with cream cheese, the filling includes coconut milk, vanilla and coconut extracts, and the macadamia nut crust provides a salty, crunchy counterpart to the toasted coconut and whipped cream on top. Ingredients: Macadamia nuts, coconut, sweetener, butter, cream cheese, eggs, coconut milk, vanilla extract and coconut extract. This green-tinged, tasty low carb treat is the perfect dessert for St. Paddy’s Day. Simply combine ricotta cheese, cottage cheese, sugar-free lime Jello mix and hot water in a blender, pour into individual-sized serving containers and refrigerate until they set. Top with chopped pecans or whichever nut you prefer, in order to replicate some type of crust. Ingredients: Lime jello , water, ricotta cheese, cottage cheese and pecans. So far on the list, we’ve seen recipes for both pumpkin cheesecake and truffles, but never combined until now. These amazing little balls of deliciousness have a smooth, creamy, pumpkin cheesecake filling, smothered in a rich, sugar-free dark chocolate coating. This is a truly indulgent treat that is not only perfect for fall, but any other time as well. Ingredients: Cream cheese, pumpkin puree, sweetener, eggs, vanilla extract, cinnamon, ginger and nutmeg. Here is an interesting take on some well-loved dessert flavors and ingredients. A chimichanga, which is a deep fried tortilla rolled around a filling, is traditionally a savory dish but gets a sweet makeover in this recipe, in which a tortilla is filled with a mixture of strawberry cheesecake and fresh strawberries, coated with cinnamon-sugar and deep fried. Ingredients: Tortillas, cream cheese, sour cream, sugar, vanilla extract, strawberries and cinnamon. Mini treats always seem extra fancy, and these Mini Cherry Chocolate Cheesecakes are no exception. These sweet little gems don’t actually contain cherries, as cherries are not low carb foods. Rather, a small amount of cherry extract and an even smaller amount of red food coloring is used to create the effect of the taste and color of real cherries. Ingredients: Almond flour, cocoa powder, sweetener, butter, cream cheese, egg, whipping cream, cherry extract and chocolate. Nutella is a popular spread made from chocolate and hazelnuts. Its delicious taste and texture makes you feel like you’re eating junk food when you’re really eating something that’s good for you. This luscious cheesecake, with a ribbon of sweet Nutella swirled through it, is impossible to resist—and since it’s low carb and sugar-free, you won’t have to. Ingredients: Hazelnut meal, cocoa powder, sweetener, butter, cream cheese eggs, heavy cream and vanilla extract. What an ingenious way to use an ice cube tray for something much more interesting and delicious than frozen blocks of water! In this recipe, a cheesecake mixture made with Greek yogurt, cream cheese, a sweetener and vanilla extract is portioned out into the ice cube tray, covered with chocolate and frozen. This recipe can be made vegan as well. Ingredients: Cashews, coconut oil, maple syrup, vanilla extract and lemon juice. Here is another tried and true dessert recipe that has been adapted into a delicious and satisfying no carb option. This easy recipe for Low Carb Strawberry Cheesecake is gluten-free as well, since it doesn’t have any crust. Decorate the top with sliced fresh strawberries and drizzle with melted low-sugar or sugar-free strawberry jam for maximum effect. Ingredients: Cream cheese, eggs, lemon, orange, heavy cream, vanilla extract and strawberries. Cannoli is a notoriously sugar- and flour-laden dessert, and like many such desserts, one that those who have switched to a low carb diet thought they would never taste again. 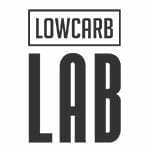 Enter Low Carb Cannoli Bites. Pastry cups made with almond flour and cocoa and a filling of Ricotta cheese and sugar-free chocolate chips result in this authentic cannoli. Ingredients: Almond flour, sweetener, cinnamon, dark cocoa powder, butter, egg and ricotta cheese. These dessert bombs are made by wrapping balls of cheesecake in homemade pizza dough, rolling in cinnamon-sugar, and baking until the sugary coating has formed a light brown crust and the dough is cooked through. These Cinnamon-Sugar Cheesecake Bombs are different from any dessert you’ve had before and completely addicting, especially when dipped in chocolate sauce or cream. Ingredients: Cream cheese, egg, sour cream, sugar and cinnamon. Lavender is an interesting and unexpected ingredient to include in foods, especially desserts. It adds a surprising note of flavor that is also, many find, surprisingly enjoyable, as in this recipe for Lavender and Lemon Vegan Cheesecake. Not only is this dish low carb and vegan, it’s also raw and dairy-free. Try it and feel your dessert world shift. Ingredients: Dates, nuts, cashews, lemon juice, agave/maple syrup, coconut oil, vanilla extract and lavender. This simple and refreshing recipe for Peppermint Cheesecake Bars calls for just four ingredients: butter, cream cheese, a sugar-free sweetener such as Swerve, and peppermint extract. Simply blend ingredients together, pour into a pan and chill until set. A candy cane and red food coloring for garnishing are optional, as the inclusion of these ingredients increases the carb content. Ingredients: Butter, cream cheese, peppermint extract and candy cane. This recipe for Low Carb Lemon Cheesecake couldn’t be any easier or more delicious. The crust is made with almond flour, butter and your choice of sugar-free sweetener and is baked in the oven for a few minutes, then filled with the light, creamy no bake lemon cheesecake filling. Or, you can substitute whatever flavor of filling you prefer. Ingredients: Almond flour, butter, Splenda, cream cheese, vanilla extract, heavy whipping cream and lemon jello. Here is a basic recipe for a tasty, traditional cheesecake. Building on the base of this dessert essential, this recipe also include instructions on how to make the dish crustless, with a chocolate crust, or as a peanut butter cheesecake. Each variation is delicious as well as low carb. The creamy filling includes heavy whipping cream, vanilla and lemon juice. Ingredients: Almond meal, butter, heavy whipping cream, vanilla extract, cream cheese and lemon juice. If you didn’t know any better, you’d swear that this Skinny Low Carb Peanut Butter Cheesecake wasn’t skinny or low carb. But it is. The luscious and creamy peanut butter cheesecake filling combined with a crust made from almond flour, Stevia and butter and topped with Reddi-Whip and chocolate shavings makes an unforgettable dessert you can enjoy guilt-free. Ingredients: Butter, almond flour, Truvia, cream cheese, peanut butter, whipping cream and dark chocolate. Though not the likeliest of flavors to put together, the distinctive tastes of coconut and blueberry compliment each other wonderfully in this recipe for Coconut and Blueberry Cheesecake. Here, instead of using nuts as a grain-free base for the cheesecake, desiccated coconut is combined with melted butter, a sugar substitute and egg whites for a delightfully chewy, sweet crust. Ingredients: Coconut, erythritol, eggs, butter, cream cheese, vanilla and blueberries. This recipe for No Bake Cheesecake differs from the others on this list in that it calls for crushed cookie crumbs—animal crackers, vanilla wafers or whatever cookie you prefer—to make the crust, and a box of instant vanilla- or cheesecake-flavored pudding for the filling. This rich recipe also includes powered sugar, vanilla extract, milk and heavy cream. Ingredients: Cookie crumbs, butter, sugar, cream cheese, heavy cream, milk, vanilla pudding and vanilla extract. So far on this list, we’ve come across many cheesecake crusts that are made with nuts or nut flours in place of grains. Here is a chocolate alternative made with almond and coconut flours, along with butter and unsweetened baker’s chocolate. When the crust is set it will be solid, shiny on the bottom and easily removed from the pan. Ingredients: Almond flour, coconut flour, salt, xanthan gum, chocolate and butter. This amazing recipe for low carb chocolate souffle cheesecake is easy and delicious. There is no flour, only eggs, cream cheese, dark chocolate and lemon juice. The chocolate and cream cheese are melted together in a double boiler, then added to a meringue made from the eggs and lemon juice. After baking, the result is a flawless sugar-free souffle. Ingredients: Eggs, dark chocolate, cream cheese, and lemon juice. Another inventive marriage of cheesecake and mousse with another delicious result. In this mixture, the smooth, luscious properties of the cheesecake filling and the mousse combine to deliver the ultimate in a creamy dessert. This recipe can be easily adapted to make plain chocolate cheesecake mousse, as well as a variation with citrus, and it takes just minutes to prepare. Ingredients: heavy cream, peppermint extract, cream cheese, cocoa powder, peppermint stevia and cacao nibs. You can never go wrong by adding cheesecake and chocolate together, and anyone who has ever tried this recipe for Chocolate Cheesecake Fudge can attest to that. This rich and indulgent fudge is creamy, thick, sweet and chockfull of nuts and chocolate—and very low carbs. This recipe includes unsweetened chocolate and dairy-free chocolate chips or a chocolate bar. Ingredients: Chocolate, butter, cream cheese, vanilla extract, sweetener and pecans or walnuts. This recipe for “Healthified” Chocolate Raspberry Cheesecake may be a little more involved than some of the others on this list as it calls specifically for the use of chocolate raspberry ChocoPerfection bars. However, it’s well worth it to special order some of these sugar-free chocolate bars in order to be able to make this delectable and healthy treat. Ingredients: Coconut oil, chocolate, almond flour, raspberry extract, egg, almond milk, cocoa and cream cheese. Is it really possible for all three of these components to be together in the same dish? Yes, it is. Once you have tasted this Healthy Cheesecake Ice Cream, you will never look at cheesecake, ice cream or health food the same way again. This dessert is sugar-free, low carb and high protein and requires an ice cream maker. Ingredients: Greek yogurt, neufchâtel cheese, almond milk, stevia extract, vanilla paste and lemon flavor. This sweet concoction calls for freeze-dried fruit powder instead of actual fruit, which is often unusable in low carb recipes due to its high water content and carbohydrate levels. This unique recipe includes two different flavors of freeze-dried fruit power, gelatin, coconut oil, desiccated coconut and macadamia nuts. These mini berry cheesecakes are great to snack on anytime. Ingredients: Coconut, macadamia nuts, butter, blueberry powder, sweetener, cinnamon and Stevia extract. The cheesecake lover’s cheesecake, faithfully adapted for the no carb crowd. This unbelievably luscious and creamy version of the sugary classic was adapted from a recipe originally called the “Dream Cheese Cake.” This low carb New York Style Cheesecake can be topped with any topping you choose. Homemade blueberry sauce comes highly recommended, as do chocolate decorations and whipped cream. Ingredients: Butter, eggs, almond flour, coconut flour, tartar, cream cheese, sour cream and vanilla extract. Here is a recipe that is delicious and unique. It’s not every day you come across a cheesecake with a ginger snap crust, let along a low carb one. This recipe includes classic cheesecake flavors raspberry and lemon, but offers a tasty twist with the homemade low carb ginger snap crust and the individually-sized servings. These also freeze well. Ingredients: Sweetener, butter, kosher salt, cream cheese, vanilla extract, eggs, heavy cream and raspberries. Raspberry and almonds join forces to create a delicious and satisfying low carb treat. The mini-portions are perfect for satiating cravings for sweets without going overboard. In these bites, the velvety cheesecake filling is topped with raspberry sauce, nestled inside tiny toasted almond crusts. Make sure your almonds are finely ground to avoid a gritty texture in the crust. Ingredients: Almonds, white chocolate, butter, cinnamon, cream cheese, egg, sour cream and raspberry sauce. Are you in mood for more desserts? Check out the best low-carb cookie recipes here.